I love that graphic. Freaking love it. 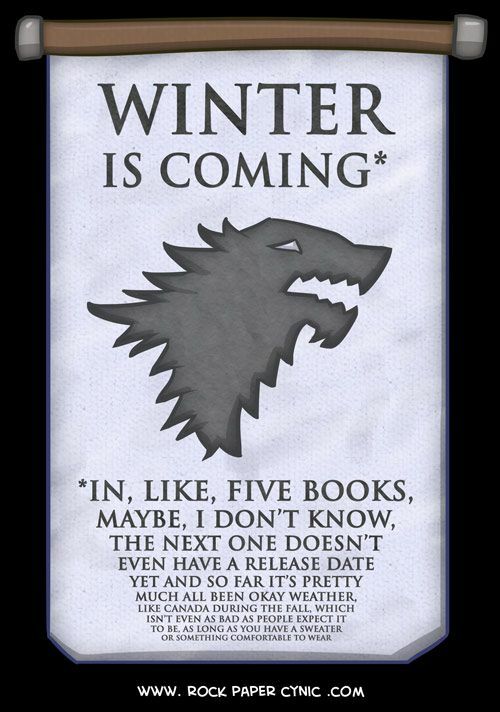 I have yet to finish A Game of Thrones, far less the others, but I do love the television series and I’m determined to read the books after the series is done. So yeah, George, love you and all and love you more when you’re writing. 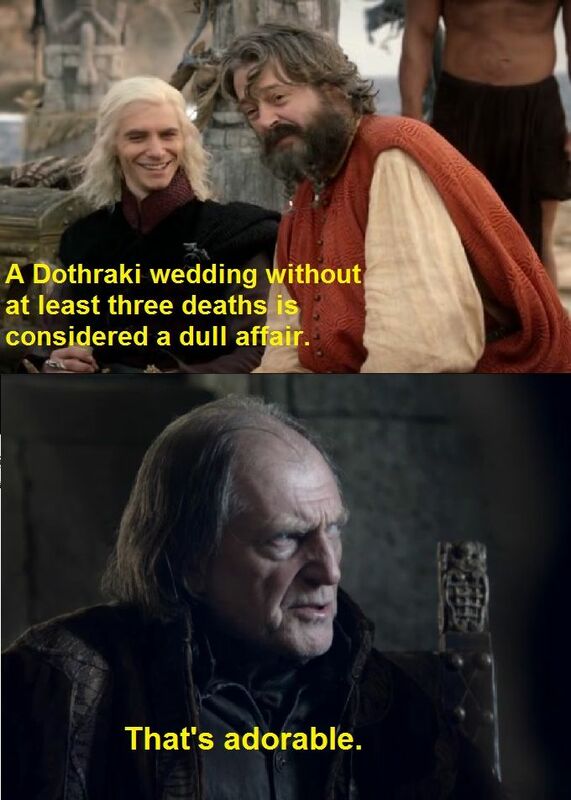 And yes, I know the writers of the show know all. Which, by the way, should be a clue to some people constantly grumbling about why they aren’t seeing some character or plot-point they love from the books (because they probably don’t matter/die before the end, or it’s a red herring). But I’d like to have the books to read before the show ends, so sue me. Also, yes, I don’t read the books before the movie/tv show anymore if I can avoid it. That’s because except for a few instances (I’m looking at you Circle of Friends, and Shining Through), the book is better than the film. I’d like to have the best experience last please. Because I tried it the other way around for Star Wars and let me tell you, that did NOT work. Anyway, I was puttering about in my Pinterest and thought, why not put up a few of my favs for fun? So here they are. 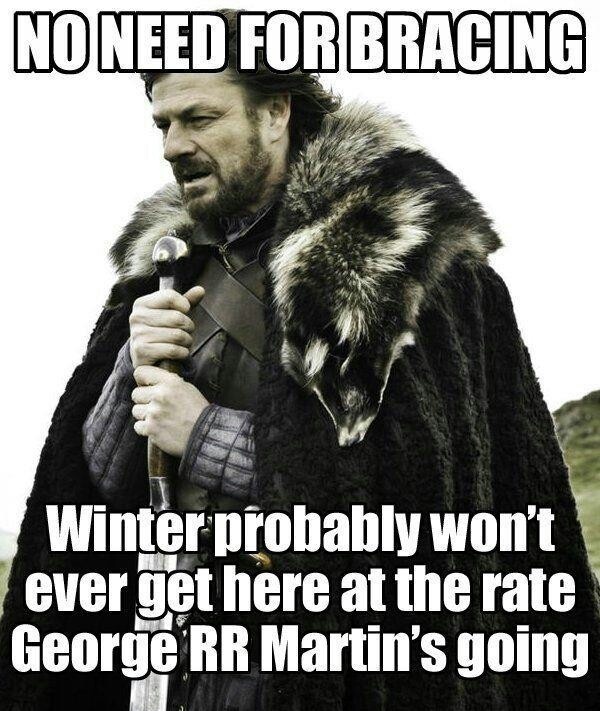 Some of my Game of Thrones laughs. 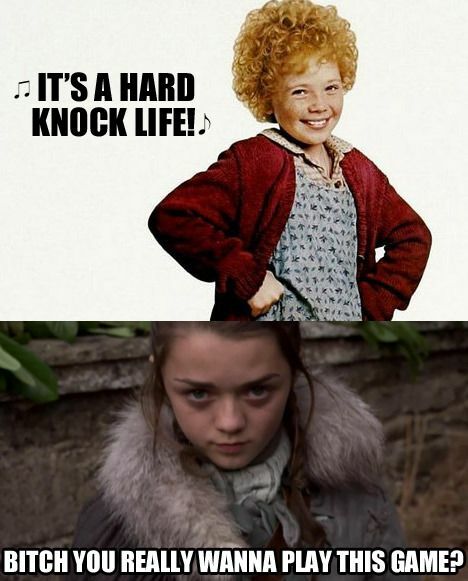 Loved that last one with Annie and Arya! I know! It’s one of my absolute faves too lol.